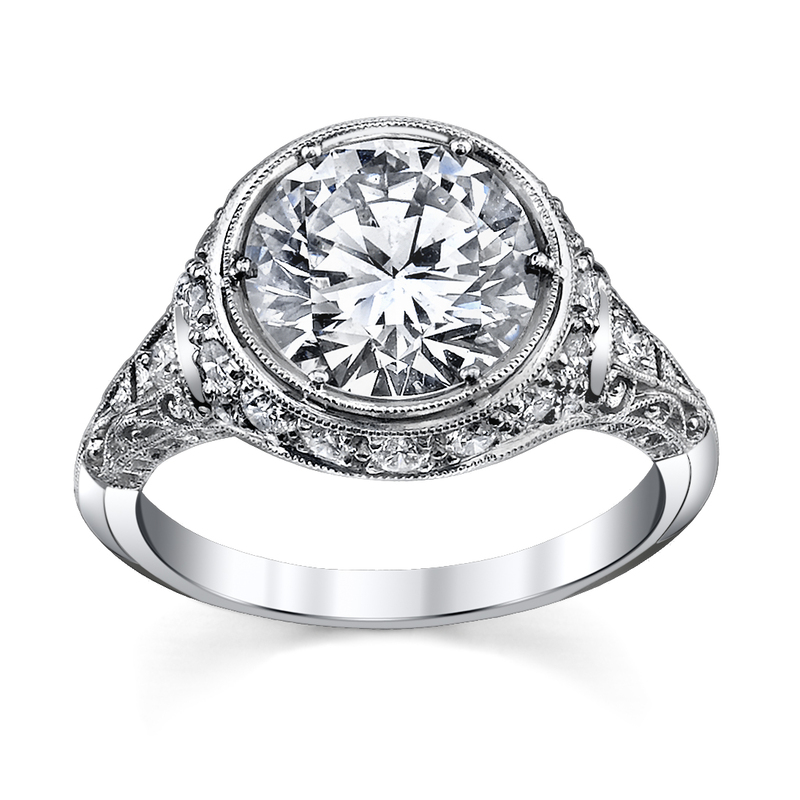 Handcrafted diamond and platinum engagement ring inspired by the Edwardian era. 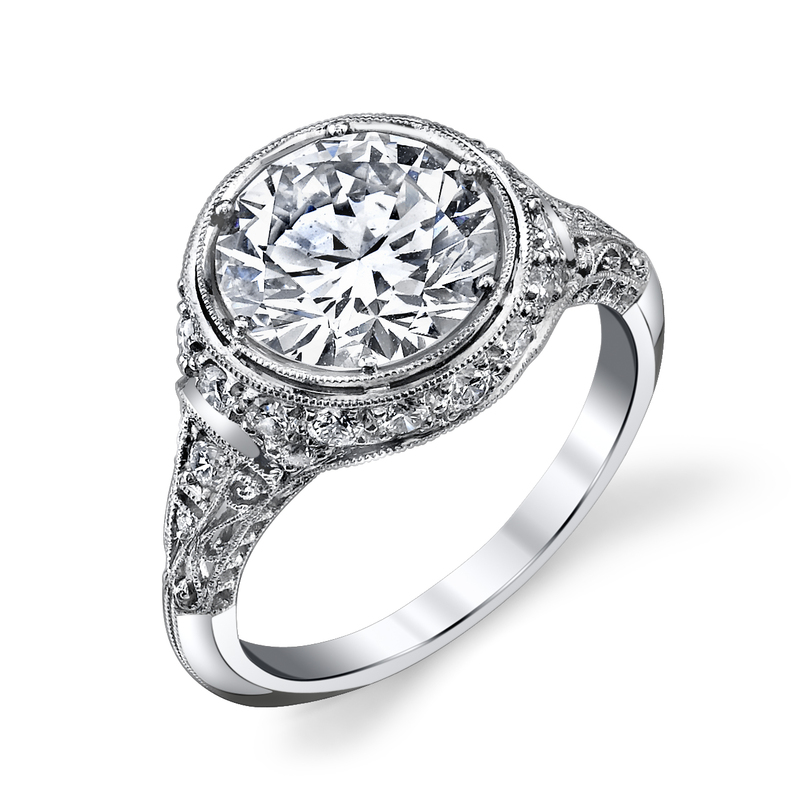 A round brilliant-cut diamond of over two-and-a-half carats is encircled in platinum filigree with inset diamond accents and milgrain detail. The ring is currently a size 6. Please contact our concierge for sizing information. First sizing is included in purchase price.